I have some IoT projects that would benefit from range afforded by a better antenna than the on-board antennas in most ESP8266 modules. 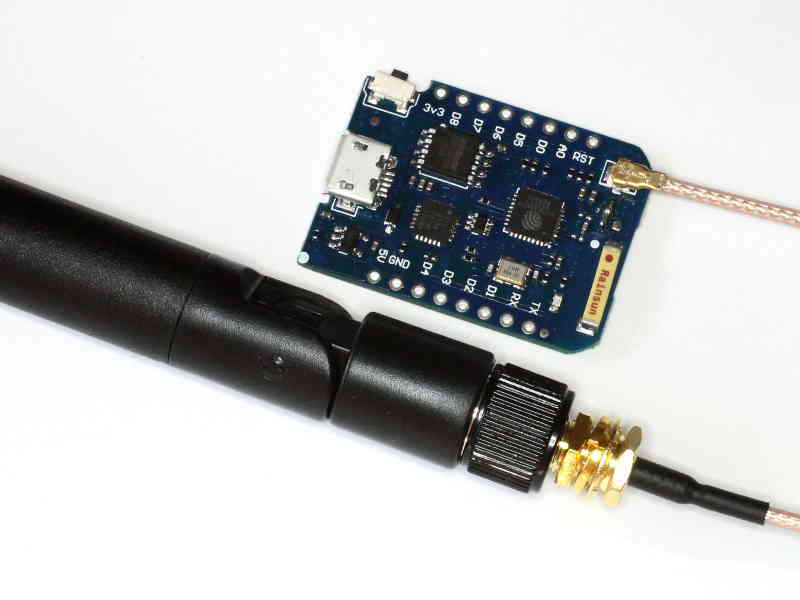 The Wemos ProMini has an on-board IPX socket for an external antenna so it is a candidate. Note that a 0R 0603 resistor needs to be removed and another or a wire link soldered in to route the RF to the IPX socket. Above the Wemos ProMini with a 7dBi SMA-RP antenna ($1.80) and flylead SMA-R(F) to IPX (M) ($1.00). 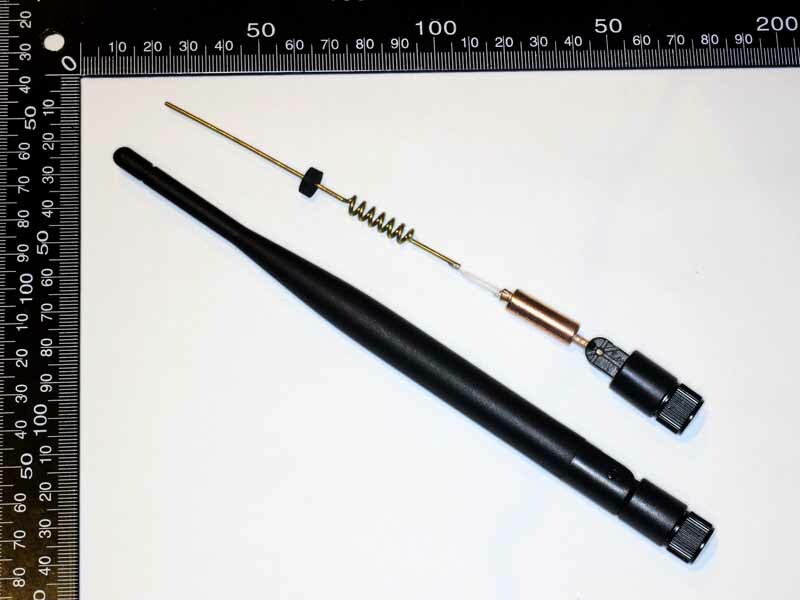 Now the problem with these type of antennas is that they often fall way short of claims, and though I do not have the means to measure gain accurately, physical examination of the internals gives an informed guess as to whether they are likely to deliver the claimed gain. This is a destructive process, but at less than $2 for the destroyed antenna, it is a low cost quality assurance test. Above is a view of the internals of the antenna, it is clearly a co-phased co-linear implementation that incorporates the elements necessary to achieve gain of around 7dBi. A fairly rough test using an app on an Android tablet is that the external antenna has about 10dB higher gain than the on-board antenna, so a worthwhile increase in range can be expected. I have also tested the empty radome in the microwave oven for 30s, and there was a very tiny increase in temperature, so small as to be challenging to measure so the radome material seems suitable. My opinion is that these antennas probably have gain near to the claimed 7dBi, and otherwise the quality is good so they are good value.